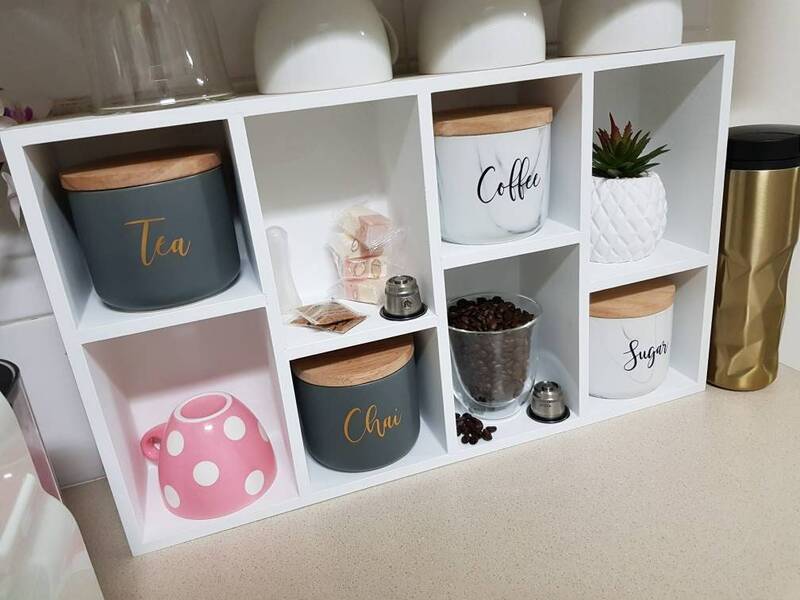 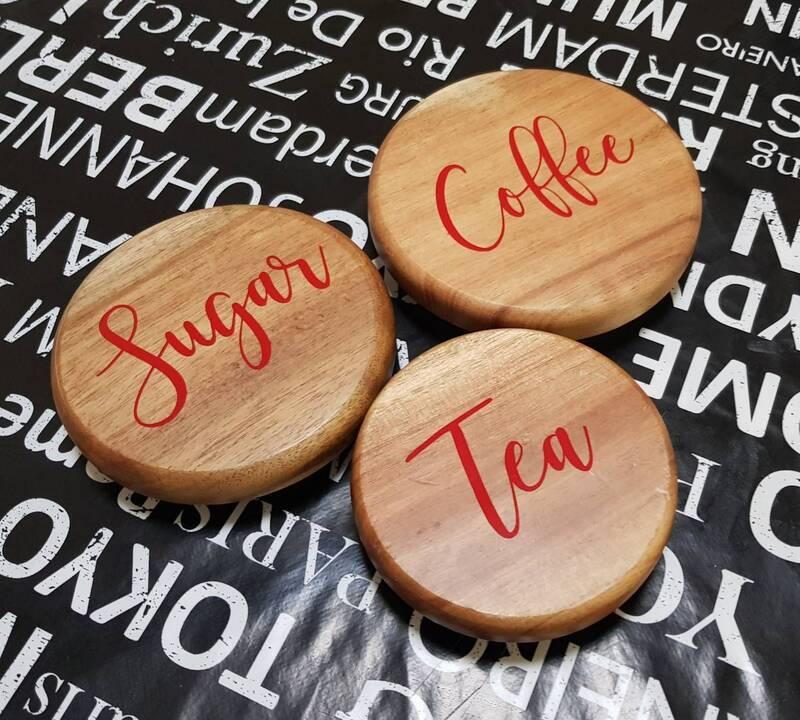 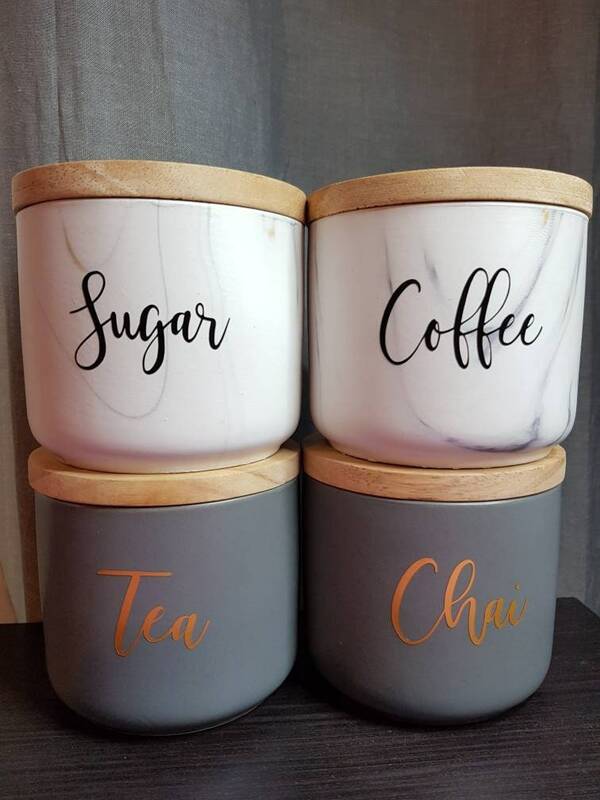 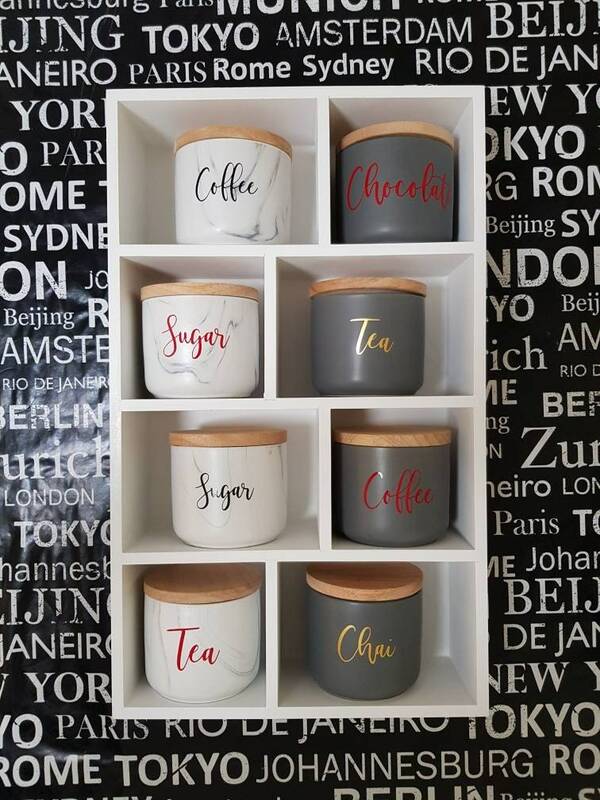 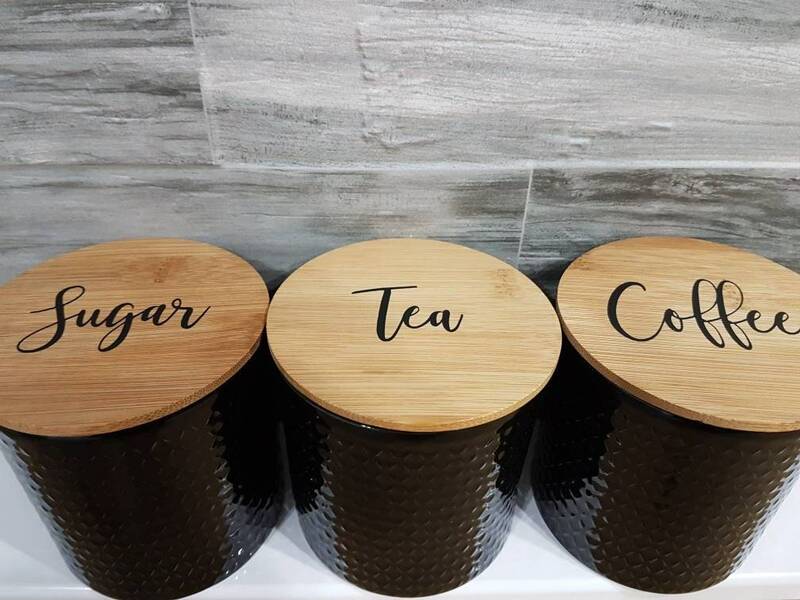 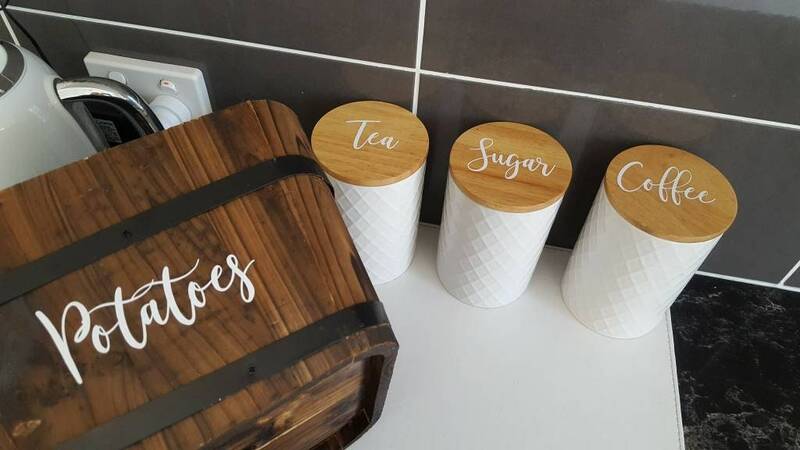 One x Set of 4 kitchen decals consisting of Coffee / Tea / Sugar and the 4th your choice of Herbal Tea, Chai, Chocolate or Milo. 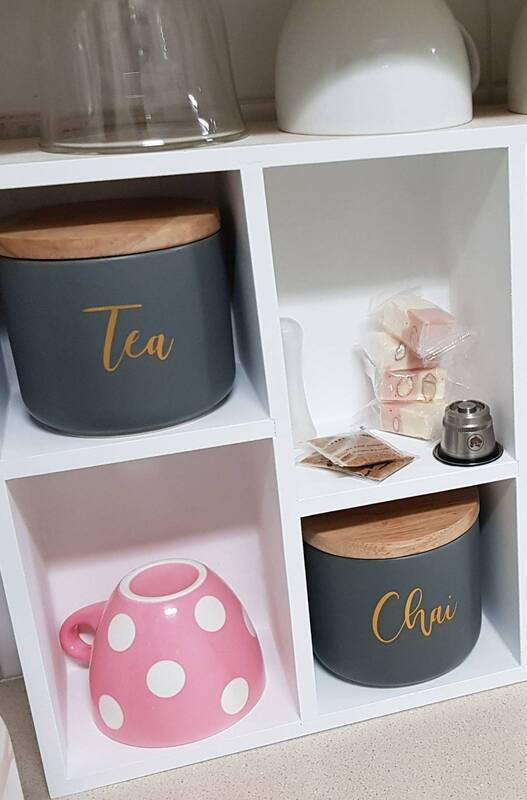 The price is for one set of 4 decals only and canisters and other items shown in photos are not included. 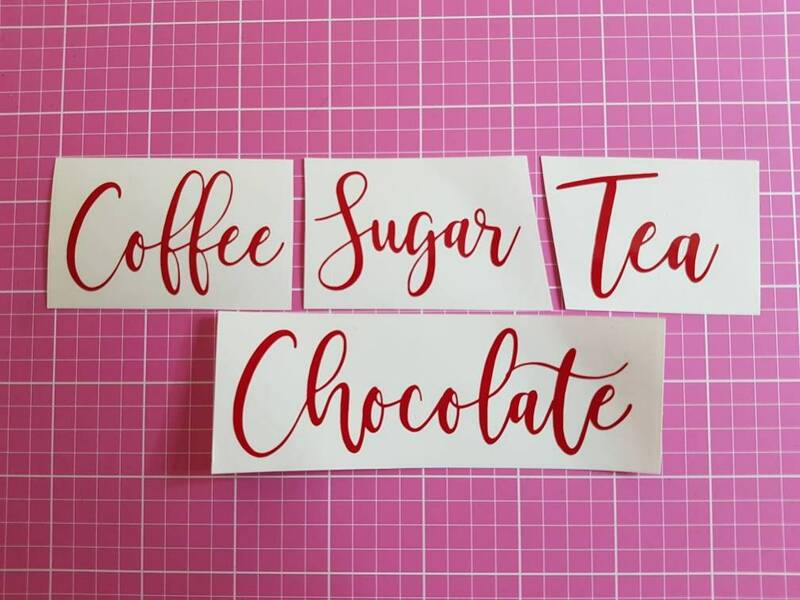 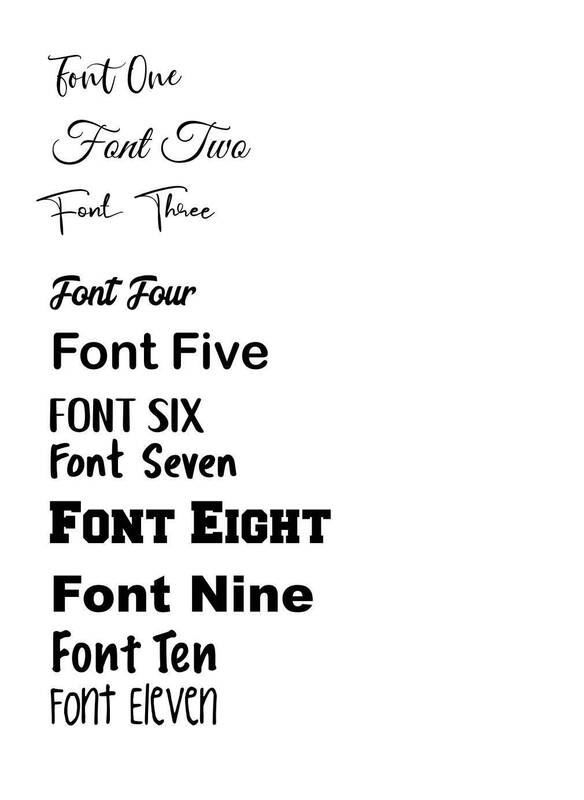 Specify the name of the fourth label you require in the notes section when ordering.